Donegal battled hard but couldn’t tame Derry in the final of the Buncrana Cup as the Oak Leaf county ran out winners of the 2019 Buncrana Cup final at The Scarvey. Both teams battled hard in Inishowen but Derry’s Jody McDermott and Matthew Downey proved too imposing against a very strong Donegal defensive unit. Donegal, fighting against a cross-pitch wind in the first half, failed to get themselves into the contest until the 21st minute, Blake McGarey converting from open play following an impressive start from Derry in the opening 30 minutes. Struggling to win their own kick-outs, Donegal invited pressure from the Derry front line, their intensity echoed by the Derry management on the sideline, urging their players not to give Barrett’s side a second on the ball. With a fast-flowing 20 minutes in the books, Derry took the impetus through Downey when he got the first score of the cup final. The full-forward made no mistake when offered an effort from the first free-kick, bundling home after three minutes played. Derry captain Mark Doherty, who was an integral part of the midfield, battled hard against Donegal’s Cian McEntee, who was dismissed in the second half. Doherty shrugging off multiple incoming Donegal enforcers secured a brilliant score of his own after 20 minutes. Barrett’s side did bag a replying point before the break, Blake McGarvey getting on the scoresheet to bring it to a one-point game. However, Derry really began to turn the screw before half-time as they proved relentless going forward – recording another three pristine points through McDermott (x2) and Charlie Diamond. After an error-strewn first half, Donegal tried to get back to basics, conceding the ball far too cheaply at times in the opening half an hour. But any anxieties the Donegal management may have harboured about their team switching off, however, were realised in the 33rd minute. 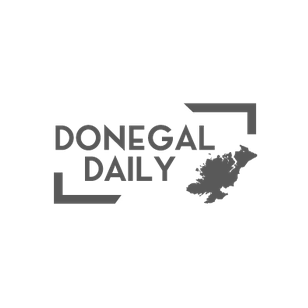 Conceding poor fouls was a significant problem for Donegal throughout the contest and Derry, showing composure, punished Donegal time and time again – the first goal of the contest coming just after the break. Raymond Dillions hoisted ball into the danger area yards from the goal, was lofted over the Donegal goalkeeper Shea McBride by Derry’s left-corner forward Darragh Wade. It was an uphill battle from here for Donegal’s U16s, with Derry a goal to the good and McEntee sent off shortly after for Donegal, and the visitors took real charge. After 40 minutes, Downey and McDermott combined again to get in on the action, opening up a seven-point lead with just over 20 minutes remaining. But to Donegal’s credit, they fought back, refusing to lay down in what has been their biggest task to date. Four points from Kyle Murray, McClintock, and two further through McGarvey brought it to a one-score game but as Donegal rustled their final point between the sticks, the referee, Enda Mallon, lifted his whistle to bring what was a gritty contest to its conclusion. Donegal: Shea McBride; Cian Mulligan, Tiernan McBride, Oisin McDaid; Cian McEntee, Kyle Murray (0-1), Eoghan McLaughlin; Drew McKinney, Stephen McFadden; Cian McMonagle, Christopher Mulligan, Blake McGarvey (0-3), Caolan McClintock (0-2), Cian Rooney (0-1), Oisin Crawford.